At last weekend’s Playstation Experience, I got the chance to play a few matches of a new installment in a classic franchise, Mortal Kombat X. Featuring a bevy of new fighters and plenty more changes to the standard formula, I was worried about how true to the franchise X would stay. Those fears have been vanquished, thankfully, and I’m happy to say that Mortal Kombat X is shaping up to be a prime entry to the beloved series. In my first match of the game, I played the new gruesome two-some of Ferra and Torr, matched up against the sorceror Quan Chi. Ferra was a brutal dwarf-woman, and Torr was her hulking brute partner. It was with Ferra/Torr that I got a glimpse at the Variations system, a new addition to X that adds variety to even the oldest fighters on the roster. 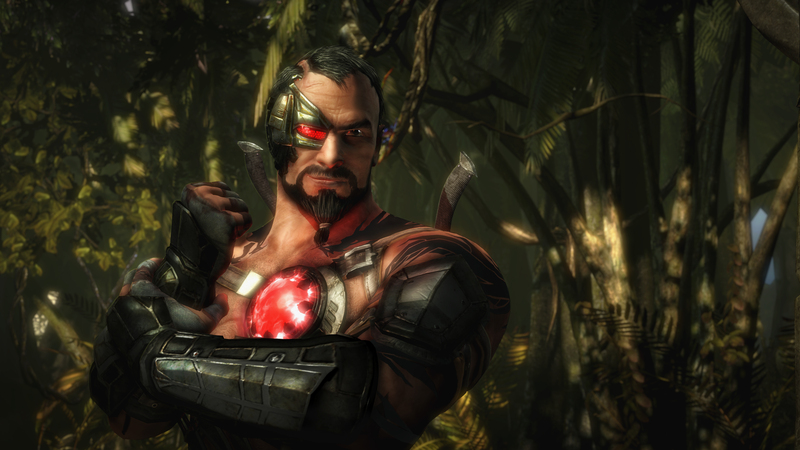 Series mainstays like Kano return, albeit with a nice facelift and new movesets. You can select one of three variations for your fighter before the fight. Each one focuses on different strengths, and changes what attacks and abilities you will bring into the match. With Ferra/Torr, for example, I could choose to leave Ferra on the sidelines to allow Torr to fight uninhibited; I wouldn’t have access to any moves that involved Ferra’s help, but I would have massive boosts to Torr’s moveset. I could also choose a variation that enhanced Ferra’s moveset, letting her be the commander-in-chief and Torr her willing, unthinking tool for destruction. My match-up with Quan Chi went swimmingly, and I was really impressed with how the controls came together. NetherRealm Studios have brought a lot of lessons learned from Injustice into this title, and the combat feels just as smooth and responsive as the DC fighter. Variations can determine whether you bring in lasers or a different set of weaponry. It was relatively easy to figure out basic moves, while specials and Fatalities are still available for the advanced. Environmental attacks are also brought in from Injustice, whether it’s simply leaping off the background to gain a positional advantage, or throwing a piece of wreckage from a monsoon at your opponent. In my second match, I played another of the new fighters, Kotal Kahn. An Aztec sun god, I chose his variation that allowed me to use a giant blade and prepared to take on another new fighter, the bug-infested broodmother D’Vorah. MKX is still about the fight, and it keeps the brutality of the series alive in beautiful fashion. This match, after being more accustomed to the systems, I got a chance to try out some specials. Activating special moves was actually relatively simple; by pressing both triggers down at the same time, I activated my special and Kotal Kahn unleashed a series of punishing strikes against his opponent, complete with classic Mortal Kombat x-rays of bones shattering and blood splattering. D’Vorah replied in kind, impaling me with many needles and pincers, all in brutal fashion. The heart and soul of Mortal Kombat is still here, in barbaric fashion. I played a few more rounds before I was ousted from my king-of-the-hill dominion, but I was sincerely impressed with the build I played. Older characters like Kano and Sub-Zero feel fresh with the addition of variations, and the new characters fit the roster beautifully. Look for Mortal Kombat X on PS4, as well as PC, Xbox One and last-gen consoles, on April 14, 2015.